Through the whole week Power and Energy Connections teams at EDC have attended the Science & Technology Week. The agenda was packed with interesting technical events, some of which were open to all EDC employees. In addition, on Wednesday, February 22nd the Distributed Power team met to celebrate the last year’s most outstanding achievements and to award the best engineers during an Engineering Recognition Day. One of the leading topics of the week turned out to be 3D printing. 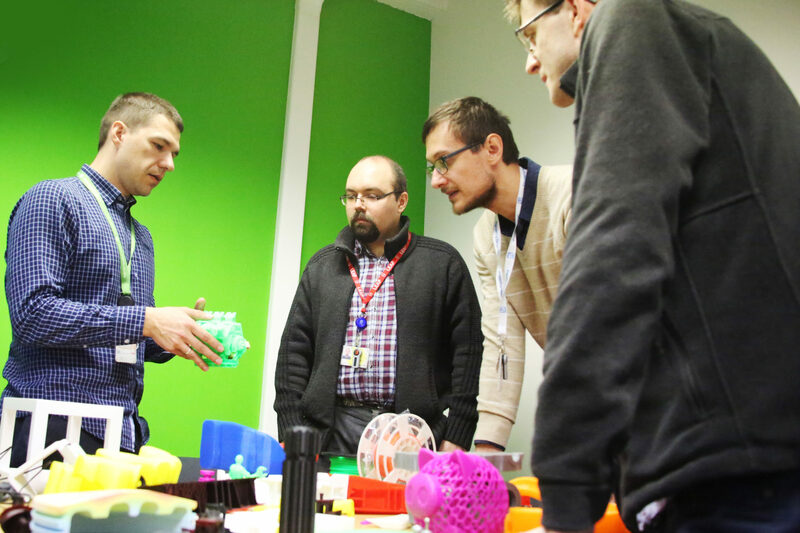 On Tuesday engineers attended the 3D Printing Workshops, where one could get familiar with 3D printing techniques. The Lunch & Learn session next day followed this topic, as the Distributed Power experts presented a case study of additive manufacturing use in Recip Engine pre-chamber project. 3D printing, otherwise called additive manufacturing, gets more and more important for GE, as the GE Additive business grows rapidly. EDC definitely goes with this flow and keeps up. 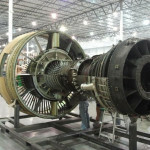 There were also lab tours available for everyone, to present the equipment and scope of work handled at EDC, such as Gas Turbine Center with its Repair Development Center, as well as Materials Technology Lab and Component Test Lab with a Distributed Power’s Valve Train Rig installed there. There was also a chance to talk to Power leadership on the Ask Us Everything meeting. 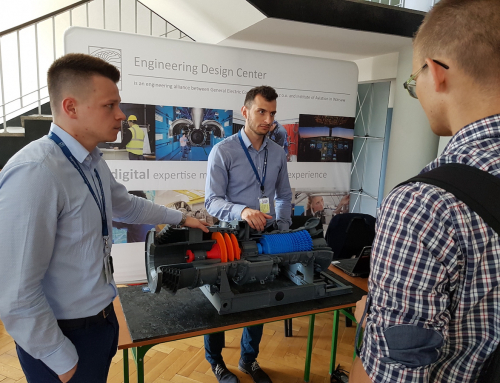 Gas Turbine Center employees could attend the every-day Engineering X-Change sessions, to share project experience between different GTC teams. What’s more, from Tuesday to Thursday all Power and Energy Connections employees had a chance to participate in an online technical quiz, having chance to win valuable prizes.